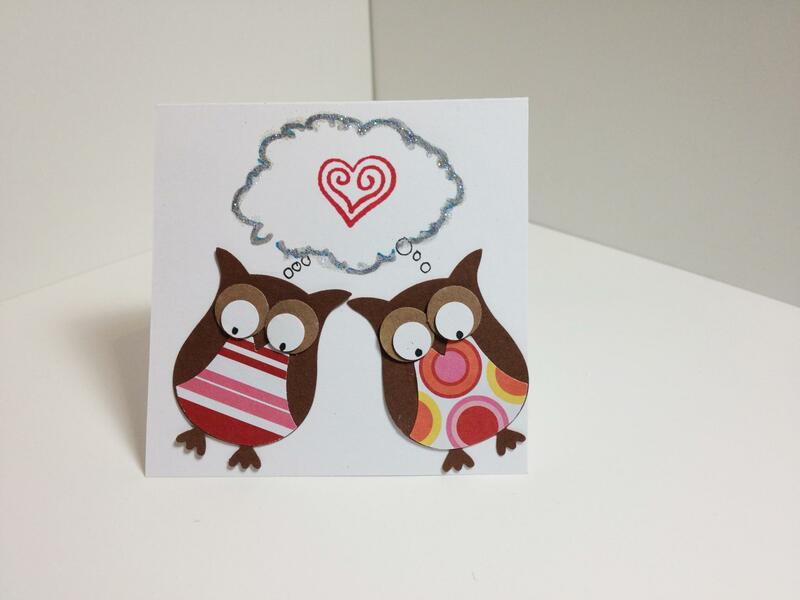 15 minute wonders: Valentines Note Sized Card | Stamp Right Up! Have you been looking for a quick and easy Valentine’s Day card idea that is easy to reproduce?! Check out these newest designs – I created these little 3×3 note card sized Valentines in 15 minutes each! Yep. That’s right. 15 minutes. Each of these designs require very little fussing about and can be made with household items and basic supplies that won’t break the bank. That’s my favorite part about them – cheap & easy! 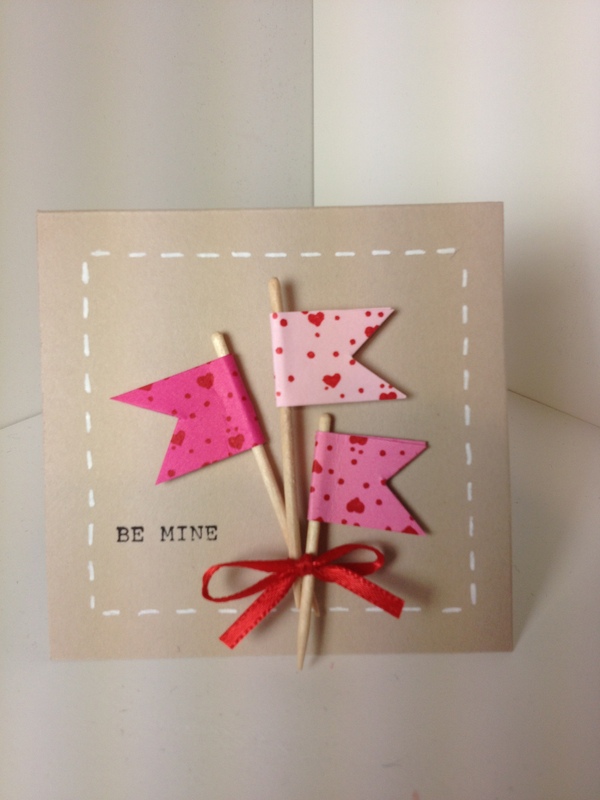 I got the inspiration for the flags card from the uber talented Kritina Werner; here is the link to the original video tutorial. 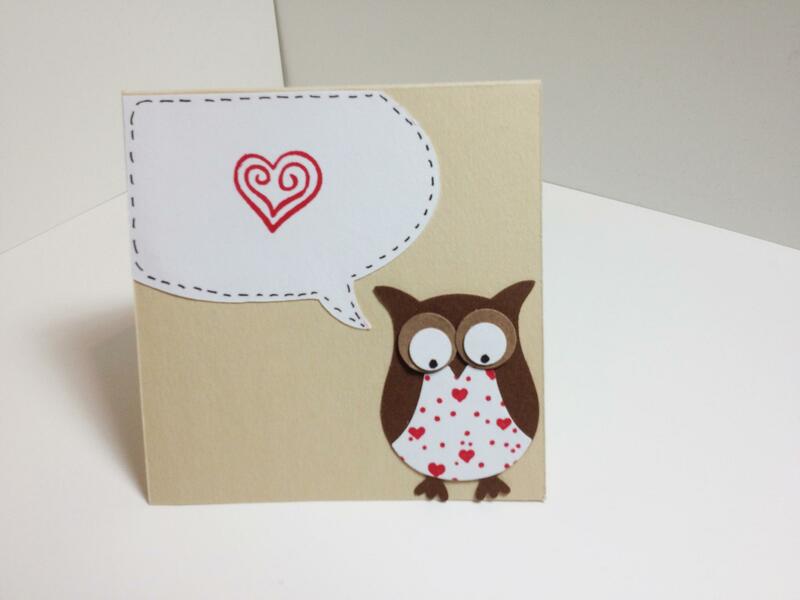 I have also created 3×3 note sized Valentine’s Day cards using the oh-so-verstaile Owl punch from Stampin Up! There are SOOOO many ways to use this punch you will never run out of ideas for it!! The owl punch is incredibly versatile and can be used to create a wide variety of critters other than owls!! I have seen penguins, bats, super hero’s etc.